Duffy Bishop began her professional career while in her teens and has been performing for more than four decades. 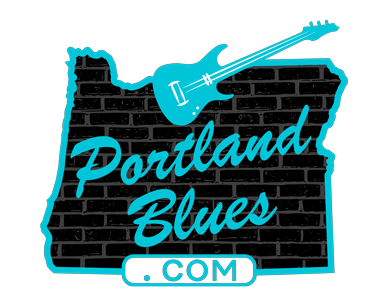 Both the Cascade Blues Association and Washington Blues Society has honored Duffy with inductions into their Hall of Fames and recognized her with Lifetime Achievement Awards. In fact, Bishop received the Cascade Blues Association’s Female Artist Muddy Award so many times that the award now bears her name: The “Duffy Bishop Female Vocalist” Muddy Award. With eight recordings under her belt leading her own band, she has also performed onstage as Janis Joplin in the Seattle production of Janis, regularly performs in the lead role of the cabaret show Teatro ZinZanni, and has toured with Big Brother & The Holding Company. Bishop will be performing alongside fellow inductees Fernando with guests Pete Krebs and Paul Brainard, and Three Leg Torso at the Aladdin Theater on Saturday, October 8, with Tony Starlight as emcee. Tickets are now on sale through Ticketfly.com for $25.00 advance general admission, $30.00 day of show. There are also a limited number of $100.00 Gold Circle reserved seats in prime center location. The Aladdin theater is located at 3017 SE Milwaukie Avenue. The Hall of Fame show will begin at 7:00 pm.